RESPECT. Interview: Stephen Jailon and Ali Road | RESPECT. North Carolina Native, Stephen Jailon is starting 2018 off right. After a strong 2017 with hits such as “Harolina”, “Bezel” and a great ep titled ‘Foul Play’, Stephen Jailon is ready to take 2018 by storm. Along with his collective Ali Road, Jailon is looking continue to take his music and vision to a new level in 2018. They’re continuing their trend of increasing the pressure with the release of each new track. They’ve been keeping their foot on the gas all 2017, and it’s not stopping in 2018. We spoke with Stephen Jailon to get to know him and to see what to expect this year. I played drums coming up as a kid so Its something that’s always been around.from there I got into producing, after a couple of years I built enough courage to rap. What made you start rapping? There’s stories and moments that need to be heard from NC. Over the years I got tired of the state being slept on. On a human note just really, really, really good composition. Also the observation of full expression from others. The world has seen your creativity increase with each new track, what drives your creativity? I really just try and make music that I would like if I was 15, 16, 17. I think those ages are where you were wide open mentally and life isn’t so heavy on you, you have time to really think with no responsibilities. Ali Road is an artistic collective not just lingering in music but as time moves forward, you’ll see the vision. What’s next for the collective? A wealth of ideas, projects, curation, and execution. Stay tuned, 2018 is going to be huge. With increased production on each track, his sound becomes more electrifying each release. Foul Play embodies Jailon’s brand new ideal over menacing production, while shedding light on his daily grind. Stephen has made it clear, he’s putting in work for his new wrist. With an increased following last year, 2017 was just a start. I’m sure 2018 will be even better. 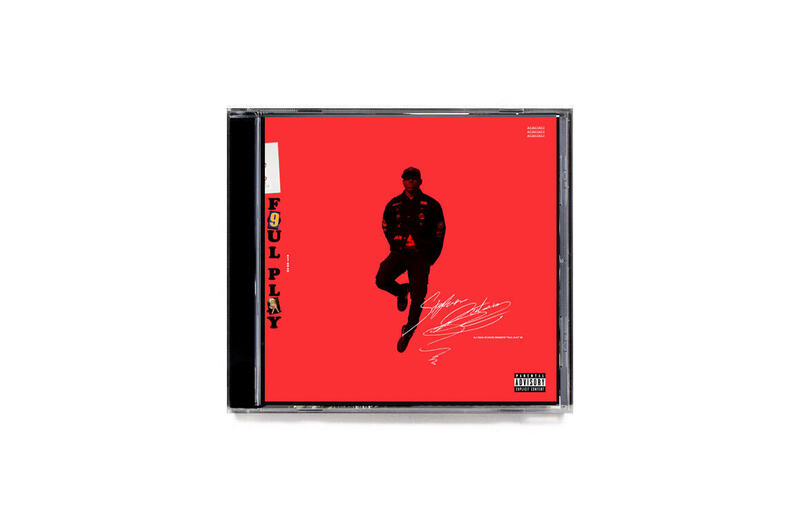 Check out Jailon’s latest ep ‘Foul Play’, let us know what you think.